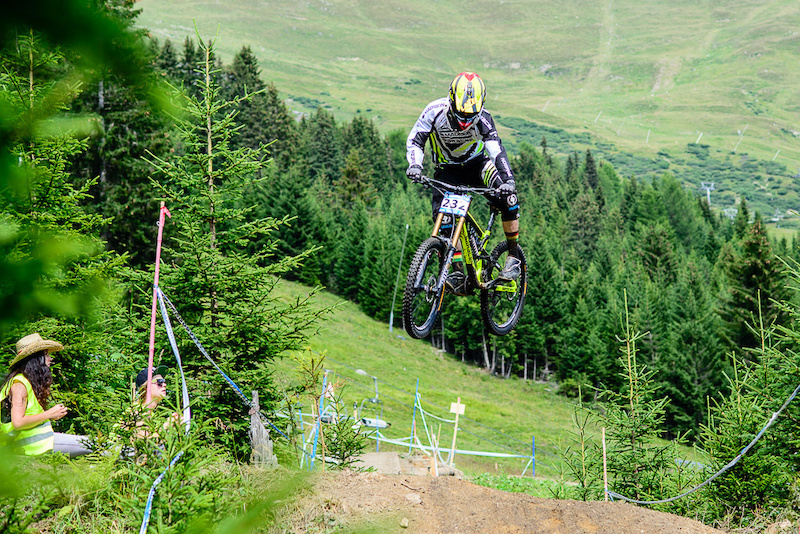 With the Kona MTB Festival placing the emphasis firmly on youth, one of the major highlights over the past four days was without doubt the first iXS International Rookies Championships, the last of the many events held. Sunday, and everything was set. 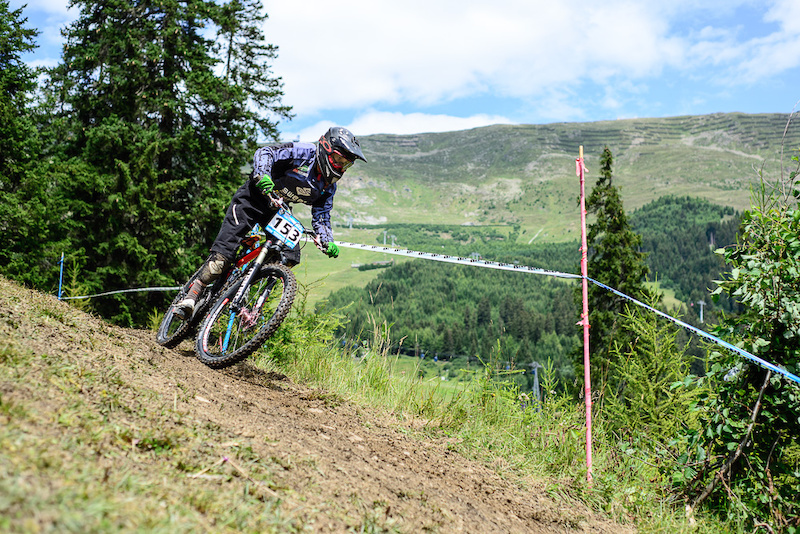 All riders had received new starting numbers and each had just one aim: that of winning the coveted iXS International Rookies Championships 2014. The weather had improved significantly since the previous day and even the sun was shining, providing good conditions for the event. The first to line up were the Kids U13 and the U15 female classes.There were eight girls on the course and it was no great surprise that victory went to Anna Newkirk (USA) in the Kids U15 class. Anna – a Swiss with US citizenship – had previously started in the Rookies Cup in the mixed U15 class, where she struggled to make an impact. Now, having got the attention she needed, she was visibly proud. Second and third places went to Paula Zibasa (AUT) and Stefania Dobreva (BUL), with the Austrian just one second off top spot. The Kids U13 female class saw a fantastic ride by 11-year old Siel van der Velden, taking first place ahead of 12-year old Emanuela Waliczek from Poland. The 11years old Siel Van der Velden (BEL) was the fastest girl in the U13 femal catagory. The next class was the Kids U13 male, with nearly 20 riders. With an Austrian family one-two seemingly assured, at the last moment the winner of the previous day’s Rookies Cup managed to squeeze in between the Widhalm twins: final standings were Lorenz Widhalm (AUT), Anton Metsärinta (FIN) and Leon Widhalm (AUT). The next and last Kids class followed immediately on the demanding and in parts still wet course. The U15 male category saw some 40 highly motivated up-and-coming downhillers at the start. Felix Krüger (GER) dominated with a time of 3:26.604, winning the title by 8 seconds and cementing his second place in the RDC overall ratings. Two more Germans, Marcel Merkeli and Mika Hopp, came second and third. Two podiums for Felix Krüger (GER) last weekend: On Saturday he was the second at the iXS Rookies Cup and on Sunday he was the fastest man and so he is the first iXS International Rookies Champion in the U15 Kids category. The races in the first three classes featured nearly 70 participants, which is both exciting and encouraging for everyone who loves this sport. For the first time 11-15 year olds had the chance to appear on the international stage at a championship, and they certainly produced some incredible performances. Some of the sport’s future greats were definitely on show here. The action continued with the Juniors U17 and U19 female categories, won by Jana Schwaninger (AUT) and Estelle Pillet (SUI) respectively. Next came the Juniors U19 male free class and, just as in the U15 class, German riders stood out. First place went to Tom Kuttenkeuler, followed by RDC series winner David Leonhard Gamperl and Erik Schreiter (both GER). The U17 Youth male event was split between the Free and Licensed categories. Winner of the Unlicensed category was Kuba Zbikokiski (POL), with Sebastian Grosu (ROU) second and Jakob Stoll (GER) third. 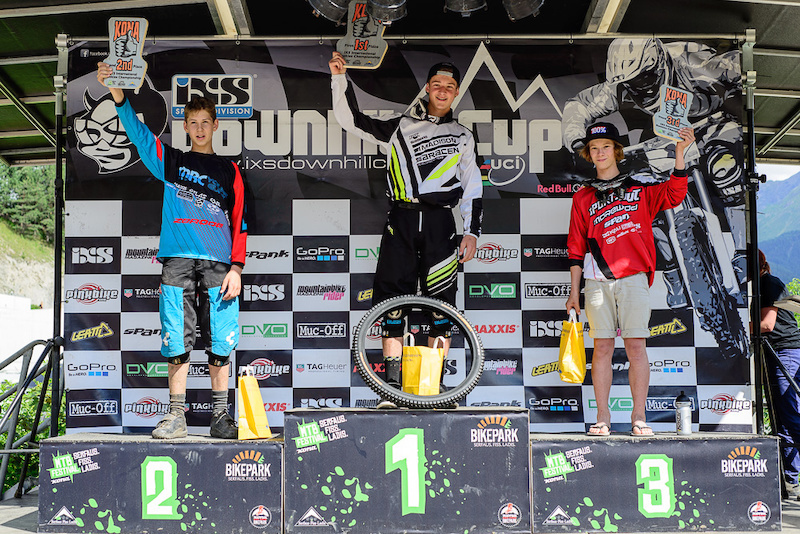 Jack Tennyson (GBR) edged out Till Ulmschneider (GER) and Moritz Ribarich (AUT) in the Licensed category, with victory also assuring him the title of iXS International Rookies Champion. Big Airtime! 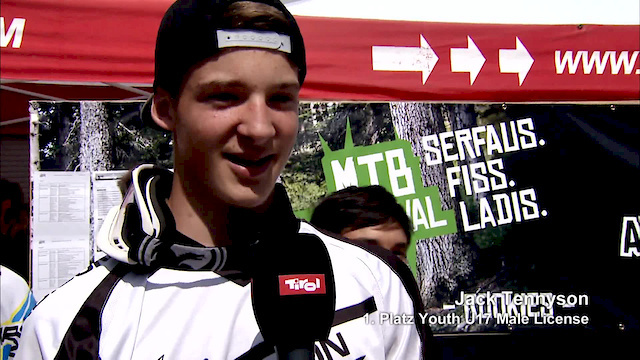 Jack Tennyson (GBR) is the first iXS International Rookies Champ in the U17 license male category. 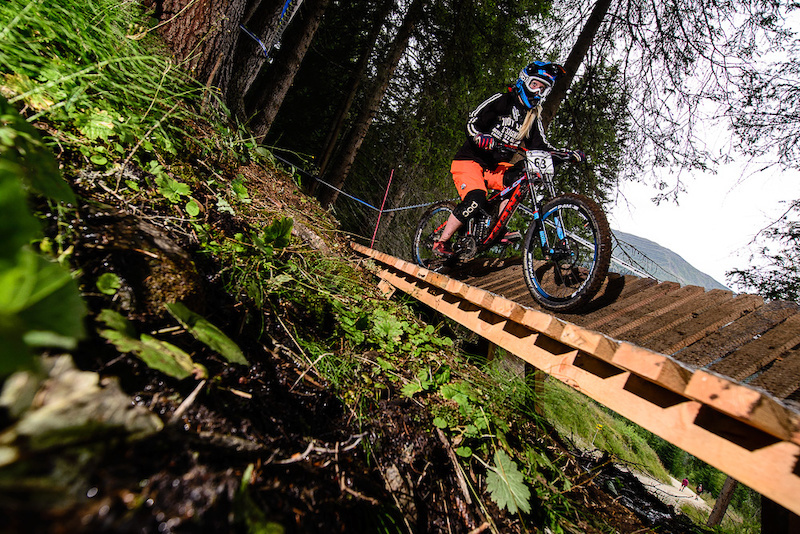 Sunday’s downhill racing also counted towards the Austria Junior Downhill Cup. 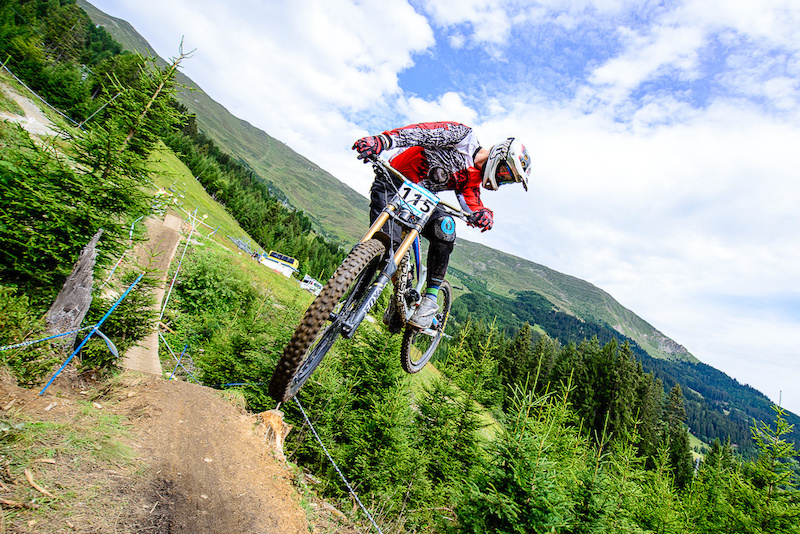 The U19 category saw a fierce battle between Austrian champion Andreas Kolb (Sports Nut DH Team) and second-placed Georg Wolf (Alpine Commencal). 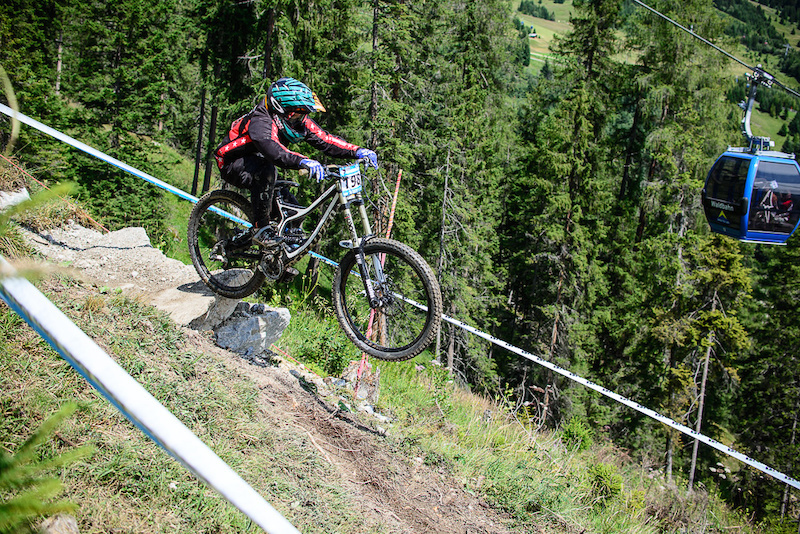 Another Austrian, Hannes Bichler (MTB Club MS-Racing), was third-fastest across the line. 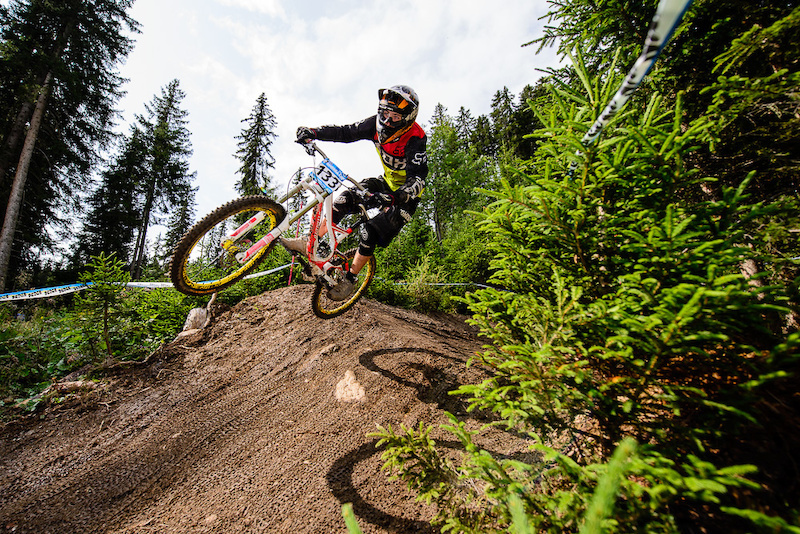 The Austrian Master, Andreas Kolb, had real fun and won the Austrian Junior Downhill Cup. 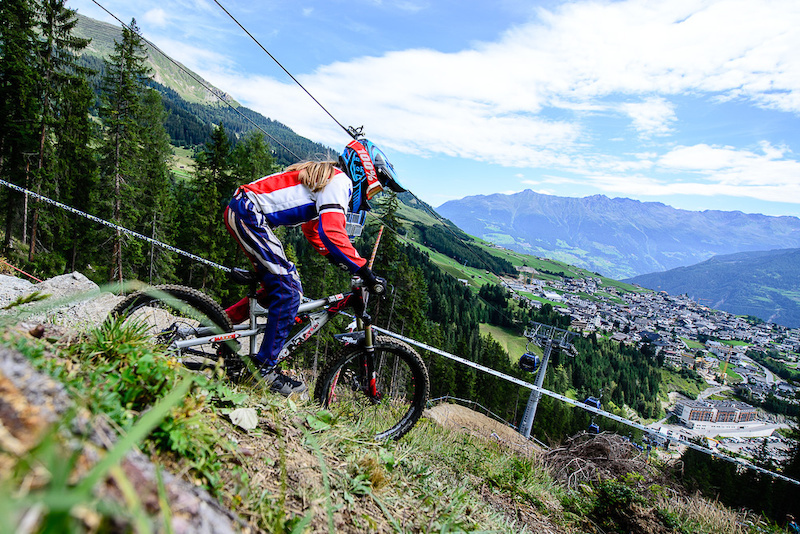 As a special treat for the parents of downhill competitors, a downhill family race was staged for the first time. There was a separate category for “Downhill Dads” (sadly no Mums took part), with times cumulated with those of their offspring. A number of highly motivated fathers stepped forward, with a total of 18 pairs on the start line. This special category saw Abbou Frederik (FRA) and his son Jannik come out as clear winners, followed by Stefan Rüegg (SUI) with son Simon and Konrad and Dario Plankensteiner (AUT). These are the champs of tomorrow! 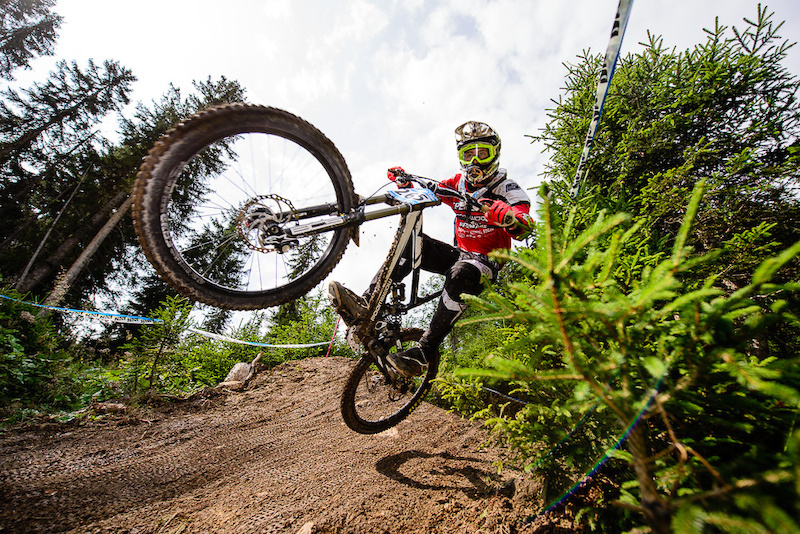 The first iXS International Downhill Champions 2014 in the U17 license category! 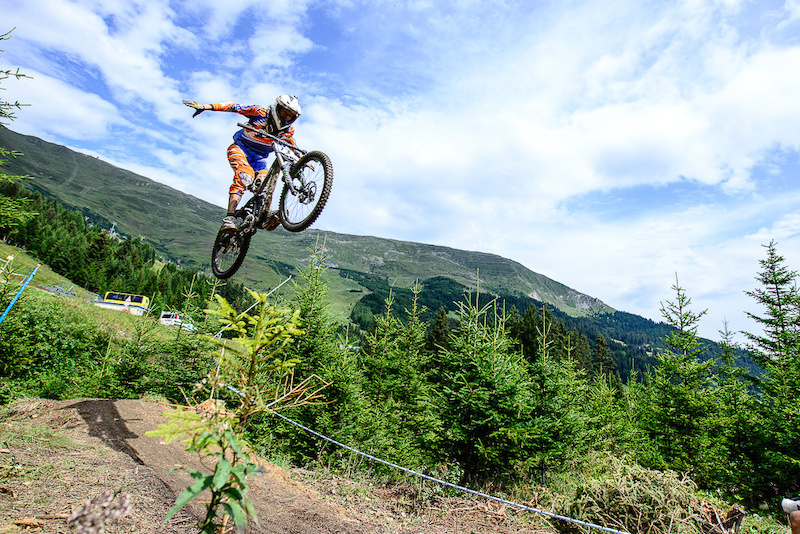 The Kona MTB Festival was undoubtedly the highlight of the year for young riders, with not just downhill events but also a pumptrack race, an enduro event and a slopestyle contest. Young competitors are not spoilt for choice when it comes to contests, so we hope that this event at Serfaus-Fiss-Ladis will now become a regular fixture. With the staggering numbers of participants, numerous countries involved and high levels of media interest, the iXS International Rookies Championships too has everything needed to become an established competition.